Gulf Shores is one of our family’s favorite vacation spots. We’ve been at least six times and haven’t even scratched the surface of all the things to do in Gulf Shores and Orange Beach. I blame this on the beautiful beaches that beckon us to never leave. Below are 10 things to do in Gulf Shores that I bet you didn’t already know about. If you can tear your eyes away from the shoreline to experience them, you won’t be disappointed. I’ve done 4 out of 10 of these unique experiences that Alabama Beaches offer, so guess which six things are now on my bucket list? 1. 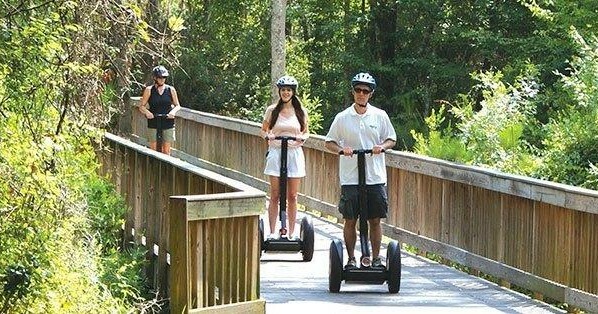 Drive a Segway – Whether you need a Segway lesson to get you started, or just want to spend a couple of hours on the 14 miles of trails, Coastal Segway Adventures has you covered. 2. 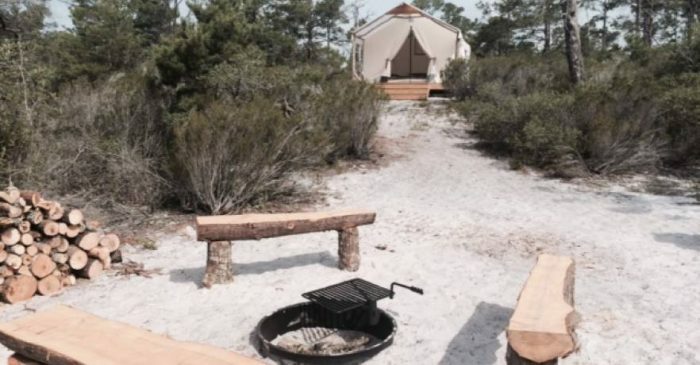 Go Glamping – The new Outpost Campsites at Gulf State Park offer tent campsites with cots and a sink with running water. I’d bring my goose down comforter and be pretty set! After all, the cooking would be up to Hubs. 3. Tour an Oyster Farm – As much as I love to eat these little delicacies, I should probably learn more about where they come from! 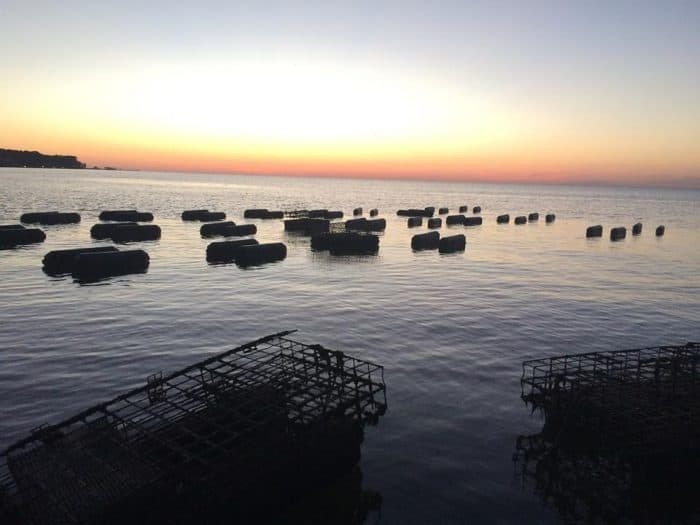 Whiteboots Charters will take you out to tour the ShellbanksSelects Oyster Farm. You’ll ride out on their flat-bottom boat and get a fun lesson in raising oysters. I wonder if they let you chow down afterward? If not, check out my recommendations for where to eat in Gulf Shores, because you’ll surely be craving some oysters after this experience. 4. Learn to Scuba Dive – Thanks to Down Under Dive Shop, I fulfilled a life-long dream and got my Open Water SCUBA Certification. It’s not necessary to fly to the Caribbean, find an all-inclusive resort, or take multiple weekends to get your certification. You can learn to dive during your family vacation to Alabama Beaches! Get the online learning portion from PADI done at home then do your pool and open water dives with Down Under Divers. I promise you’ll be hooked. I certainly am! 5. 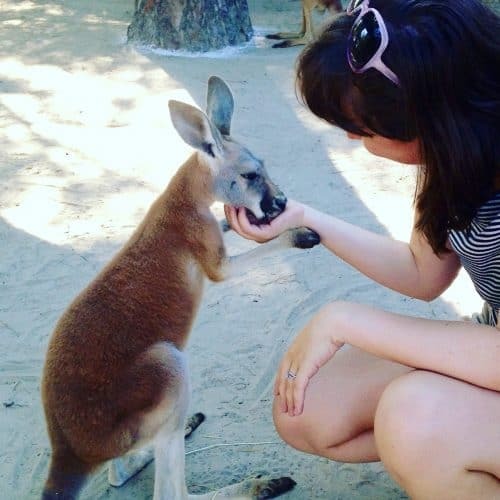 Pet a Kangaroo – And a lemur and sloth too if you like! Alabama Gulf Coast Zoo is home to over 500 exotic animals. In addition to a petting zoo, you can experience animal encounters with kangaroos, lemurs, sloths, tamanduas, and reptiles. The ‘roos are a favorite of ours. There were twin joeys during this visit! 6. Take a Sandcastle Class – Why settle for the the simple scoop and bucket method when you can create a masterpiece? 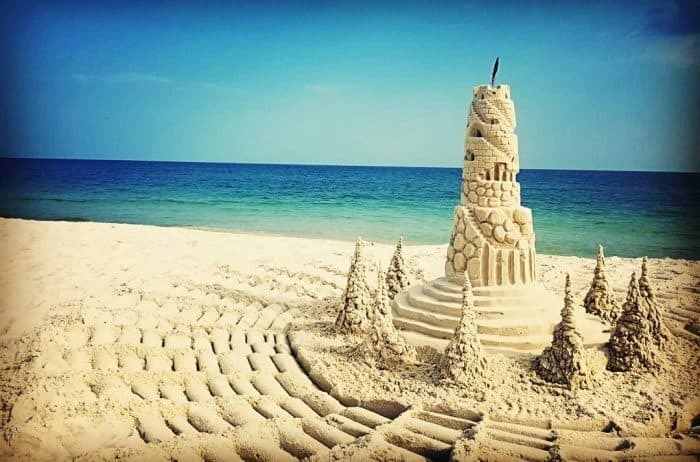 Enroll in Sandcastle University and the experts will bring a sandcastle class to you! Don’t forget to photograph your beach art before the tide comes in. 7. 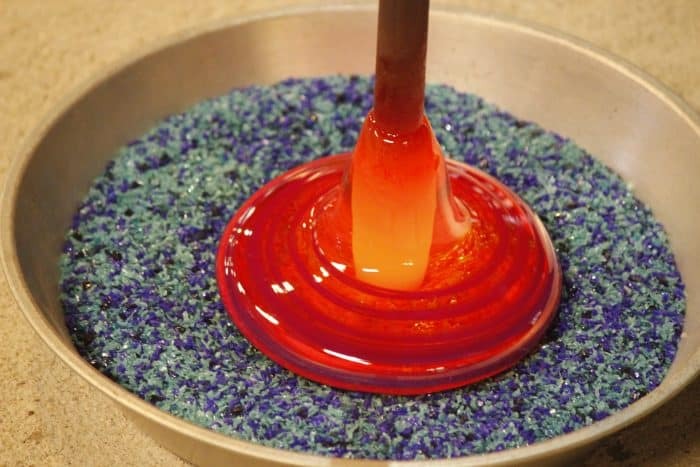 Make Blown Glass Art – Speaking of art…Who doesn’t love to watch glass being blown by hand? There’s something utterly captivating about the process. If you’ve ever wanted to learn to work with this medium yourself, stop by The Hot Shop at The Coastal Arts Center of Orange Beach for a Make Your Own Glass class. Schedule this activity early in your trip so your souvenir has a couple of days to fire in the kiln. If you can’t take it home with you, The Coastal Arts Center can ship your creation to you. 8. Help Baby Turtles Out to Sea – Watching a sea turtle nest excavation is something you never forget. 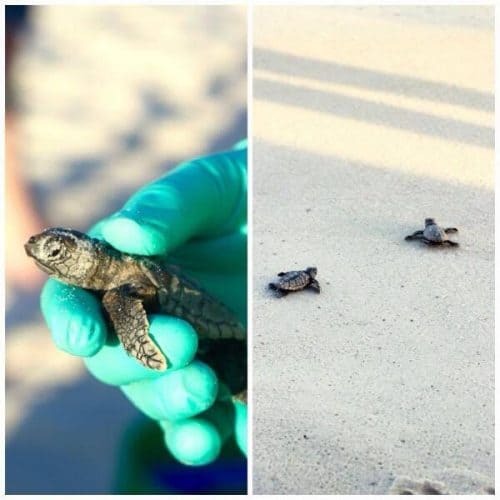 Cheering on the newly hatched baby turtles as they make their way to the sea is a once in a lifetime experience for most people. Organizations like Share The Beach, are conservation programs, not tourist attractions. So seeing a sea turtle nest excavation is really a matter of serendipity. If you are visiting Gulf Shores and Orange Beach during nesting season, be sure to stalk follow Share The Beach on Facebook so that you can maximize your chances of being at the right place at the right time. This excavation took place in Orange Beach right outside Best Western. 9. 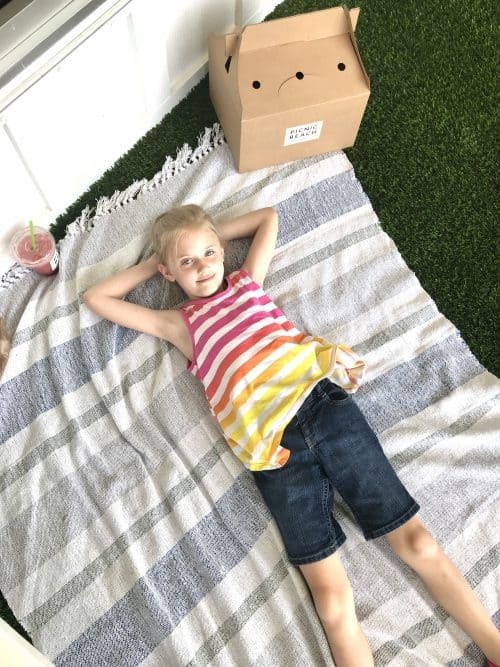 Picnic Indoors – Sit at the picnic benches or snag one of the provided blankets to enjoy your meal picnic-style indoors on the artificial grass at Picnic Beach BBQ. Hubs insists you try the ribs. 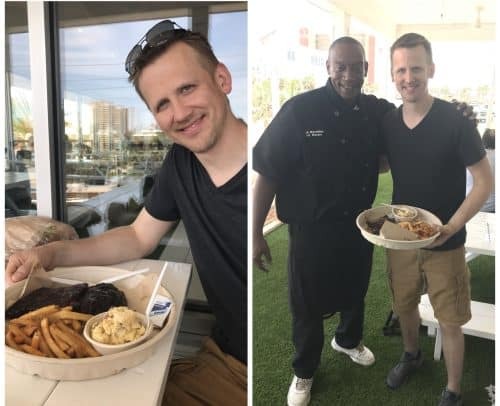 He got excited enough about them to need to meet the grill master. 10. 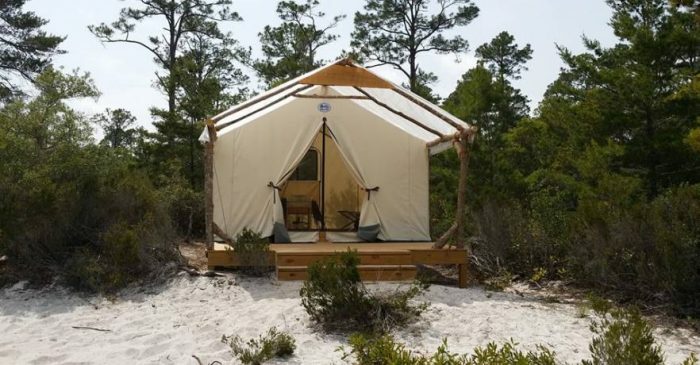 Get Your Eco-Tourism On – There’s so many new things happening at Gulf State park from the new Interpretive Center to the grand opening of the new lodge this November. You can tour the backcountry trails on a Segway, enjoy your entire vacation without a car thanks to the bike rentals available, and even snorkel the new artificial reef! If eco-friendly travel is a priority for you, don’t miss out on being a part of the newest initiatives at Gulf State Park. Watch the video above to learn more. Which of these 10 unique things to do in Gulf Shores will you try first? Personally, I want to see if I can pilot a Segway successfully. You never know until you try!